Literally the dust has settled and still no sign of Whif. Only the whiff of the old septic tank that lies in pieces on the ground. Although we had that at times even when it was not broken and buried under ground. Don’t think we will miss that element of the old pavilion somehow. 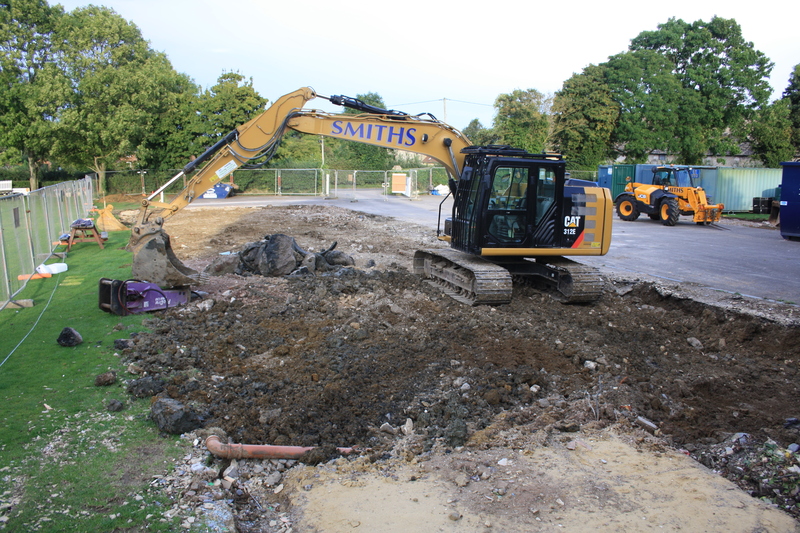 The debris for the most part cleared away almost ready for the builders to start their part of the process digging and laying the new footings. We are lucky with the weather being so kind allowing for the clearance to be done without leaving a mess or damaging any of the surrounding areas. In fact at the risk of repeating myself it is a very clean and tidy site, it even looks as though the old car park has been swept. Not a lot more to say really and again I will not bore you with the same old pictures so the next post will be when there is a significant change to the area.